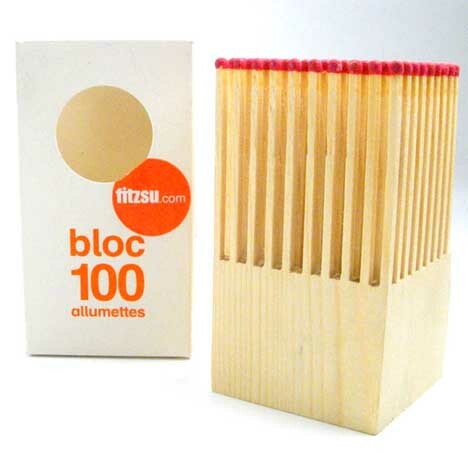 Wood matches are already cut from blocks of wood – so why not just leave them attached to the block instead of cutting them away into individual pieces? 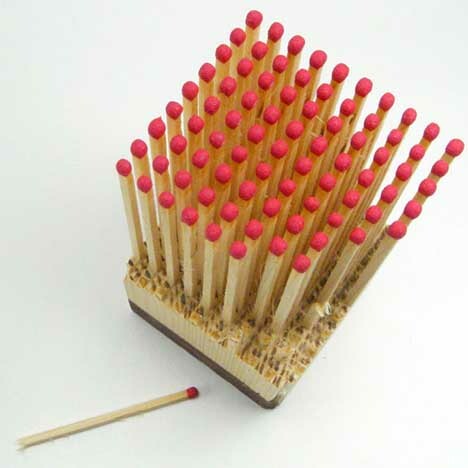 Wooden Block with 100 matches Created out of one piece of wood. 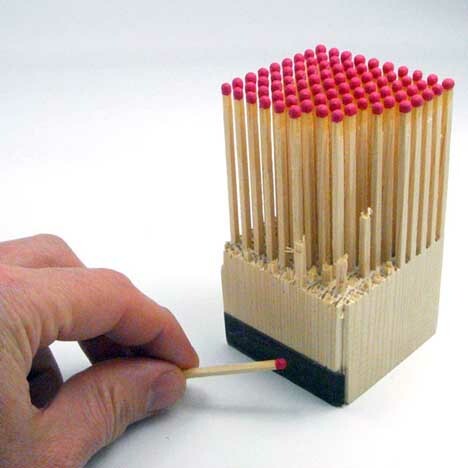 To use, just break a match off the block and scratch it along the block to light.